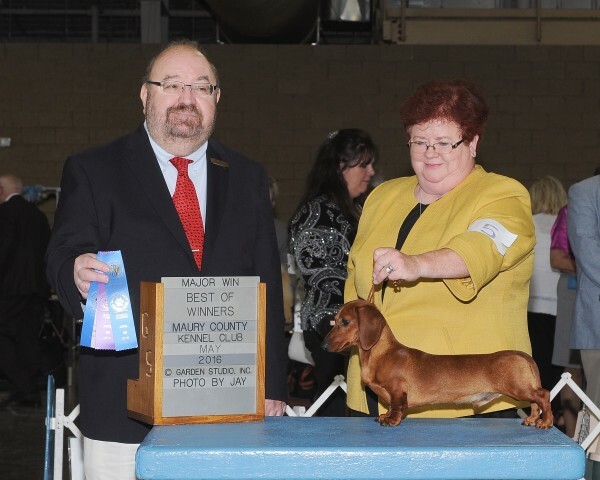 "Dudley" is a proven Champion and a proven sire with multiple litters of drop dead georgous puppies to attest to. Producing black/tan and chocolate and carrying for cream (no scientific proof of that). "Gordon" is one of life's greatest moments. When I first saw him I was smitten. 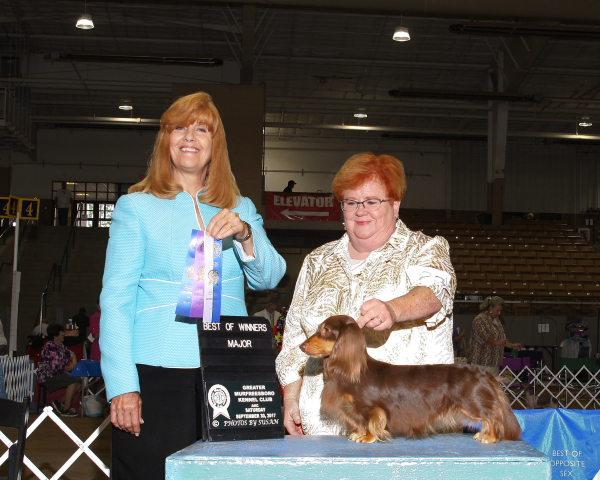 "JB" is a bright red proven sire that is PRA cord-1 clear. He will NEVER sire a puppy that will have the gradual blindness of Progressive Retinal Atrophy. JB produces reds. 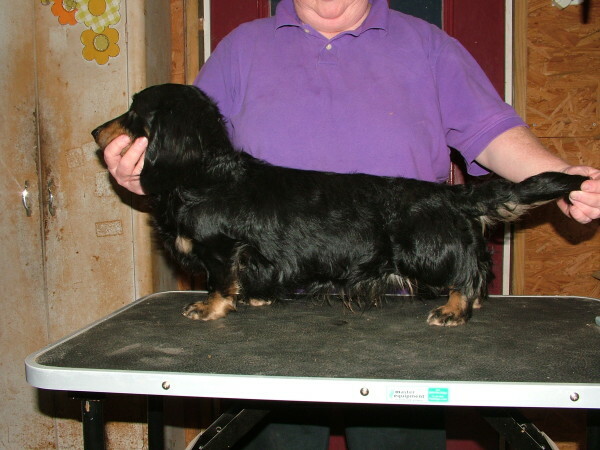 Winnie will produce black/tan, chocolate, and red in solid and piebald pattern. 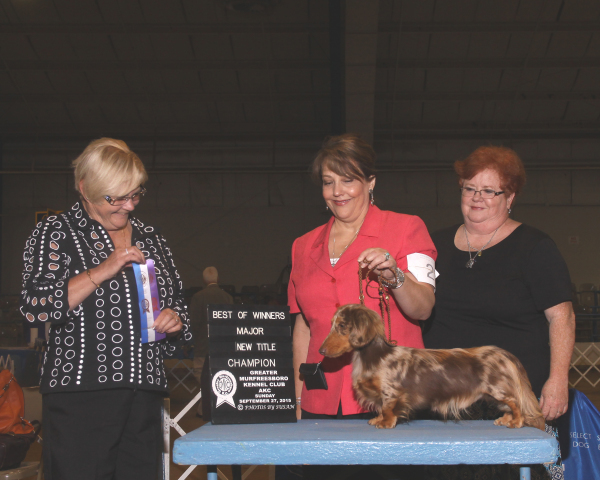 Currently in the show ring working toward his American Kennel Club championship. Sharky a longhaired sable very aged now, but still as healthy as a horse. 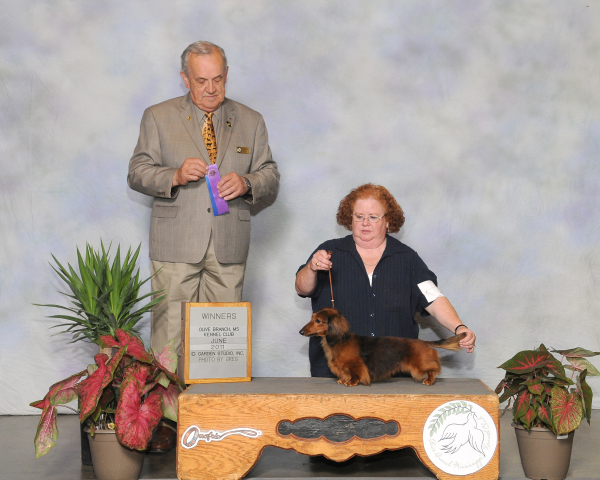 The oldest of our stud dogs Vinny has done mostly all he is going to do for us, but he is black/tan carrying for the cream gene. Very good front end on this fellow which he passes on. Also long ribbing that holds up his 12 year old back! Please excuse the sand all over Floyd. He loves to play and we let him roll in the dirt and silt alot. The youngest stud dog member of our family and still growing.